I’m not a big seasonal decorator. 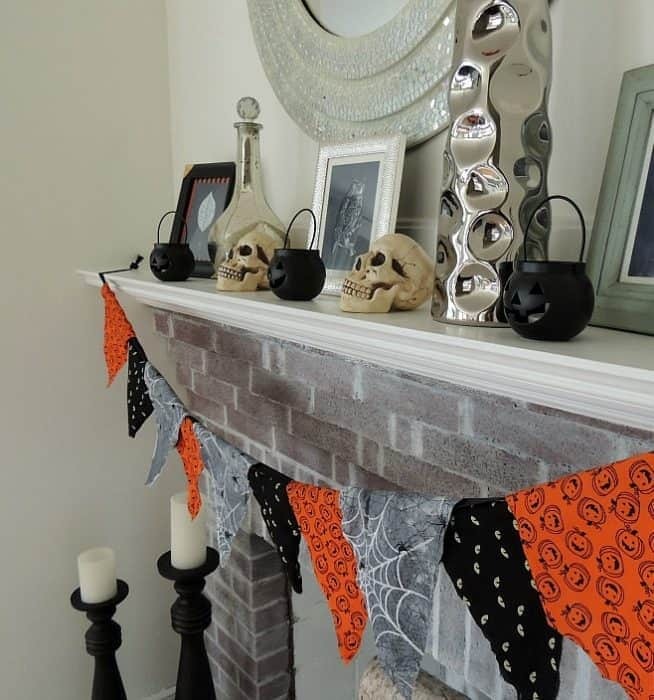 Apart from Christmas, the only time the mantel changes is for Halloween. 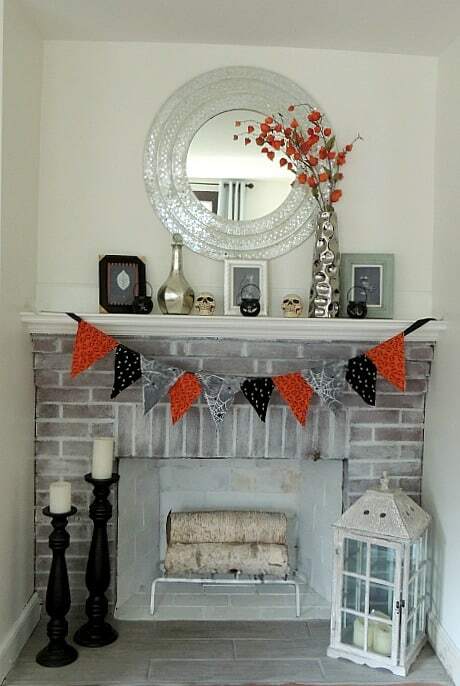 Knowing that I’m going to be about 4 weeks out from giving birth at that point in October, I’m getting a head start on the DIY portion of my spooky decor. 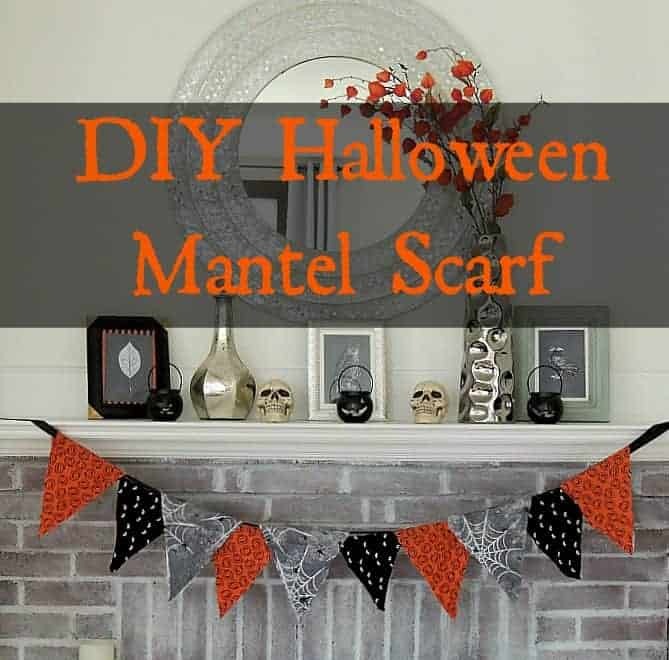 This year I decided to make a Halloween Mantel Scarf. It’s super easy to make and cheap too. I picked up scrap material on clearance at JoAnns and I already had black ribbon. Create a template using some cardstock or cardboard. I drew a triangle using a ruler then folded it over so the second part of the shape matched identically. Alternatively, there are plenty of pennant templates online that you could use. Draw outline of template on the fabric (I used chalk). 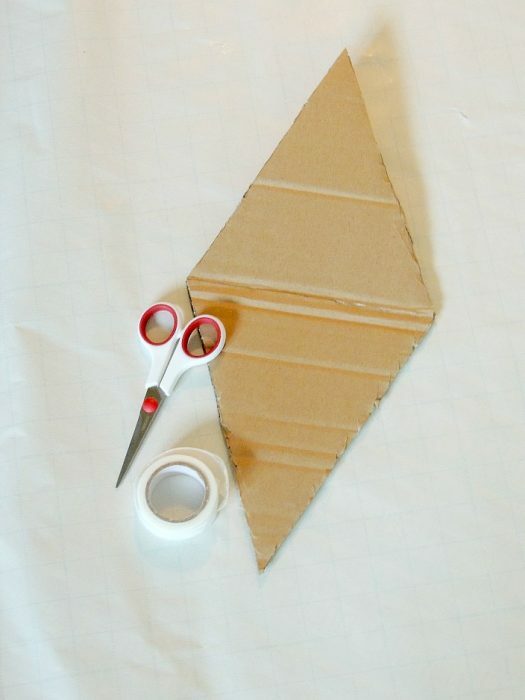 Cut out as many shapes as you want. 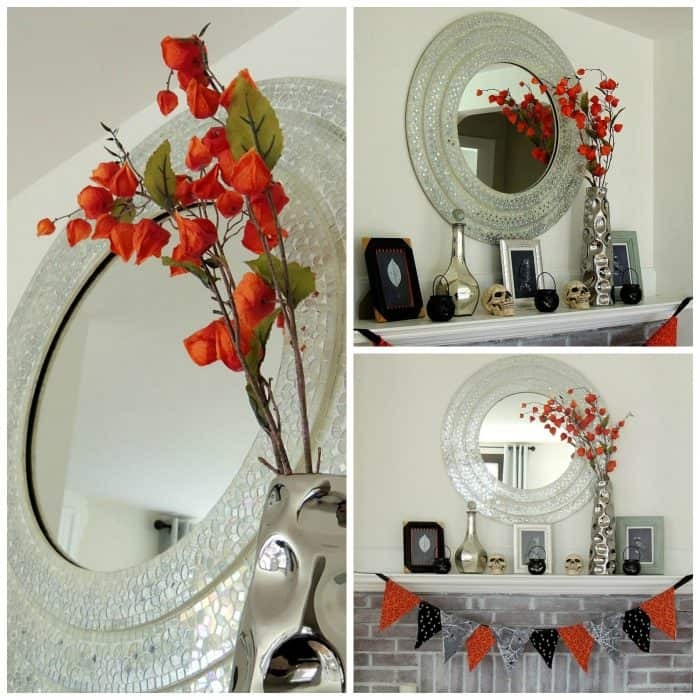 I ended up using 10 but you might need more or less depending on the width of your mantel. Cut two lengths of ribbon slightly longer than the width of your mantel. This is where you need to be creative. 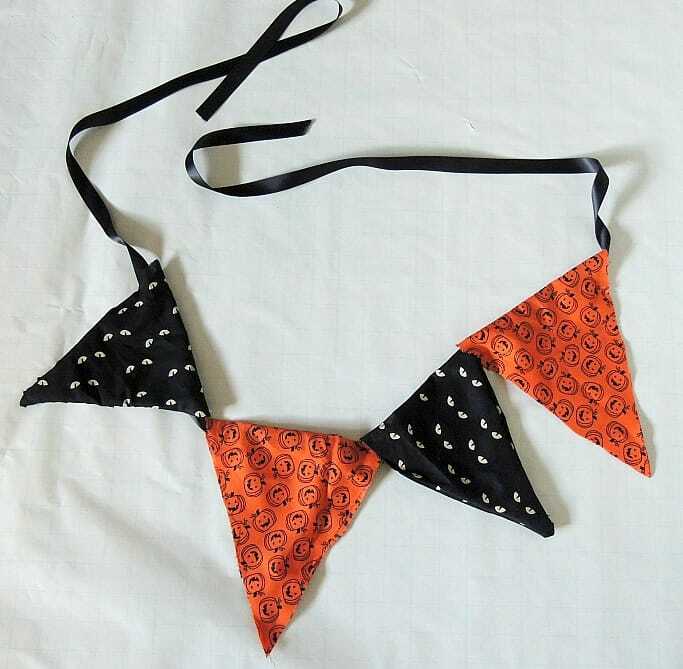 The pennants should be arranged in a way that you find pleasing. You want to layer them, so that’s why you need two lengths of ribbon. Some pennants on the back, some on the front, etc. Seal the pennants closed by either sewing them (inside out, then turn them right way around. Leave a gap at the top to thread the ribbon through) or just hand them over the ribbon and seal with no-sew tape. I actually chose to both sew and use the no-sew tape because of how these different methods look. The sewed version are more voluminous and billowy whereas the no-sew ones are completely flat. The variety helps to add texture to the finished mantel scarf. Attach to your mantel and enjoy! Be sure to check in on Monday when I’ll also be providing free downloads to the chalkboard art printables that I made!